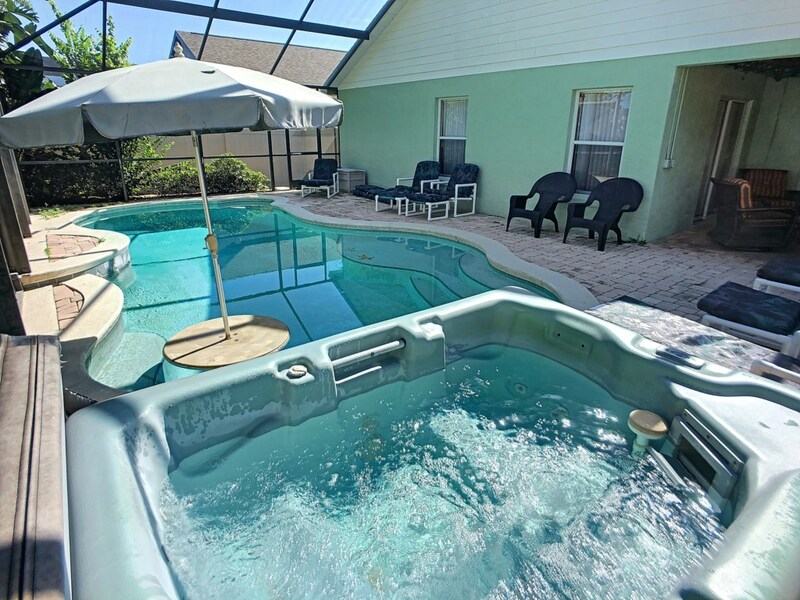 Stay in this perfect Pool Paradise in Kissimmee near Disney! It's time for your vacation. Your family has been in the car all day or in crowded airports and cramped planes. 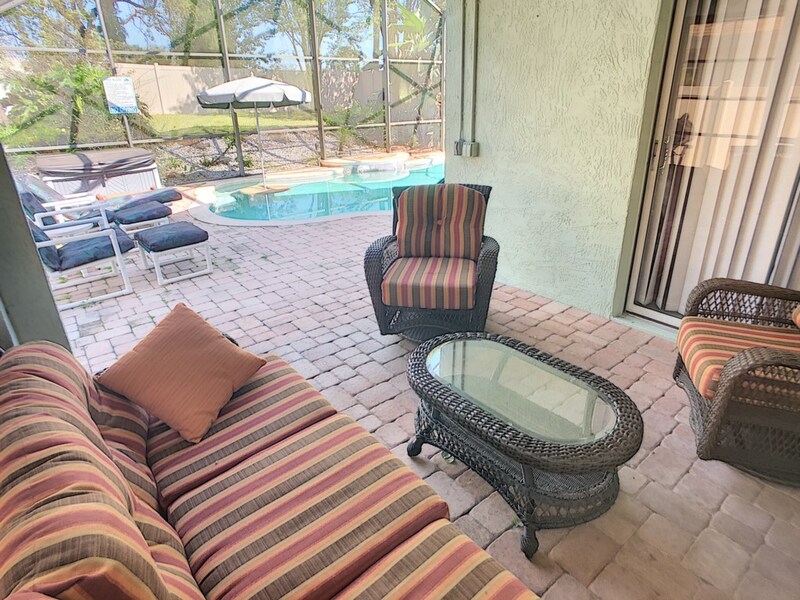 You're worried that something is due to go wrong at this point, but when you open the door at your private Kissimmee vacation home rental, all your worries disappear. You step into Loyalty Vacation Homes' Pool Paradise and realize "this is exactly what I wanted, exactly what my family wanted. Let's get this vacation going!!" 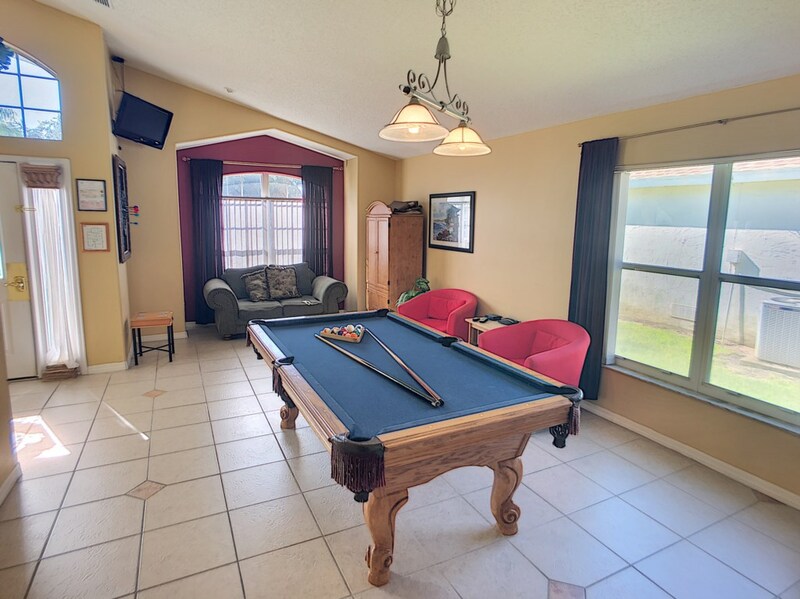 Immediately after entering the home, you're greeted with a spacious family room with a hand crafted oak pool table, dart board, plush furniture and a flat screen TV. 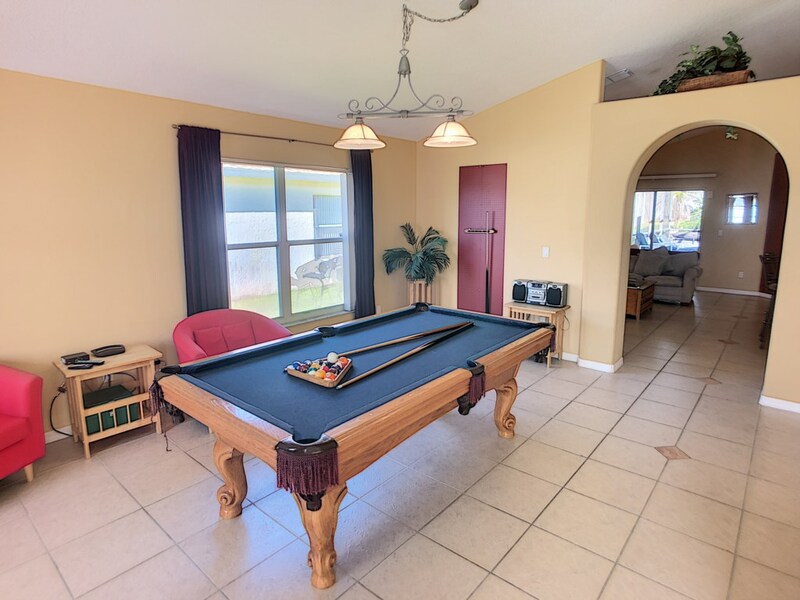 Your kids' eyes light up as they start planning who is first to play pool. But you haven't even gotten into the rest of the house yet! 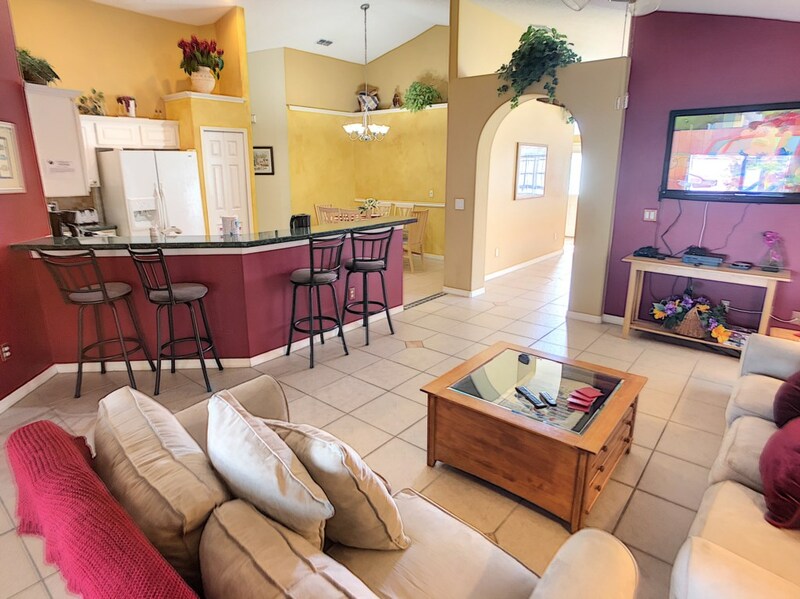 As you walk further into the home, you enter the living room, featuring comfortable sofas and recliners to relax on while you watch your favorite shows on the 55" LCD HD TV mounted to the wall. 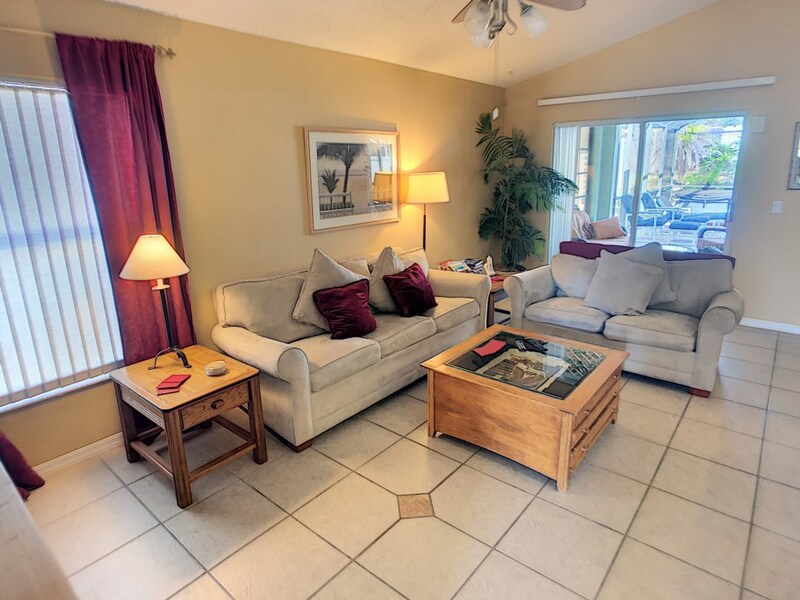 From the living room, you can step out onto the lanai where you can enjoy a drink or dinner lounging on the comfortable chaise lounge chairs or stepping into the pool. 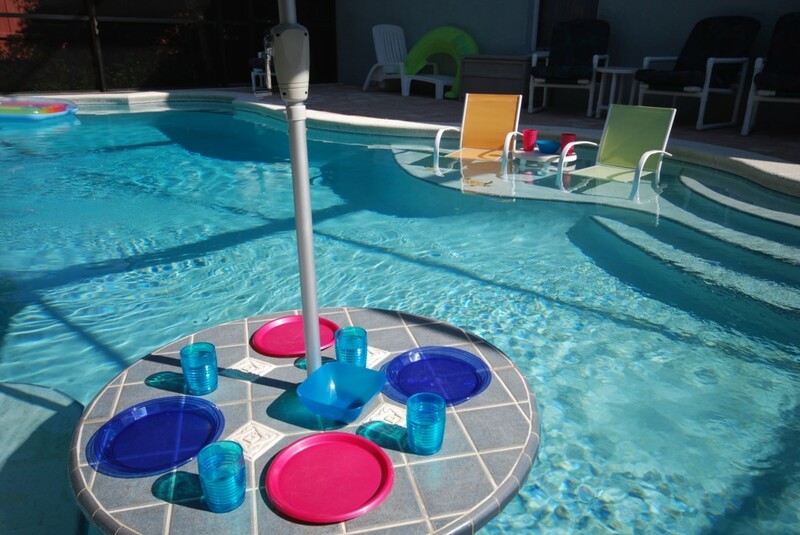 The luxurious pool features a swim up table, where you can bend the rules a little bit when you tell the kiddos "It's vacation...You don't have to wait 20 minutes after eating to go swimming!" The pool area itself will make you feel as though you are in your own private paradise. 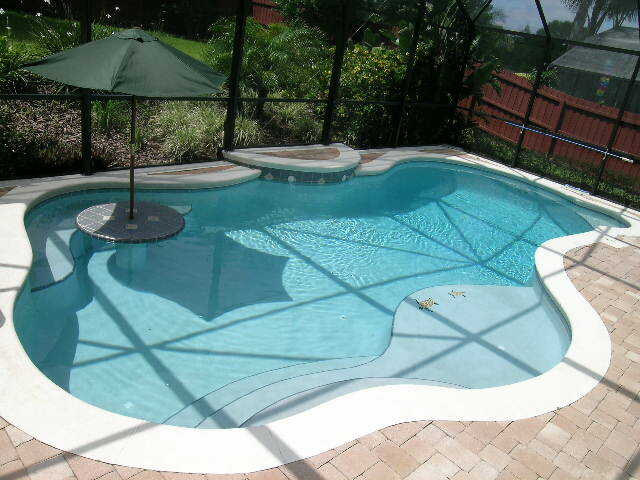 The beautiful pool is custom built unlike any other! Enjoy staying cool while tanning on the oversize ledge or watch your little ones splash around in its shallow water! 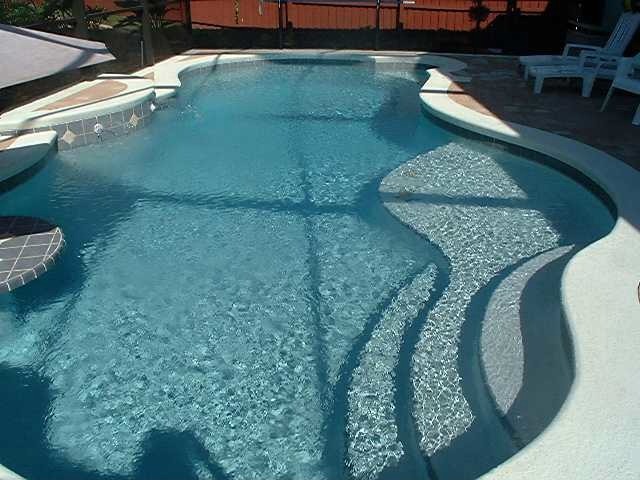 Relax while seated at the swim-up table or soak up the sun while floating in its 6' deep end. After swimming, enjoy a relaxing massage in the stand alone hot tub which features up to 32 pulsating jets. All of this is accompanied by wonderfully comfortable patio furniture. 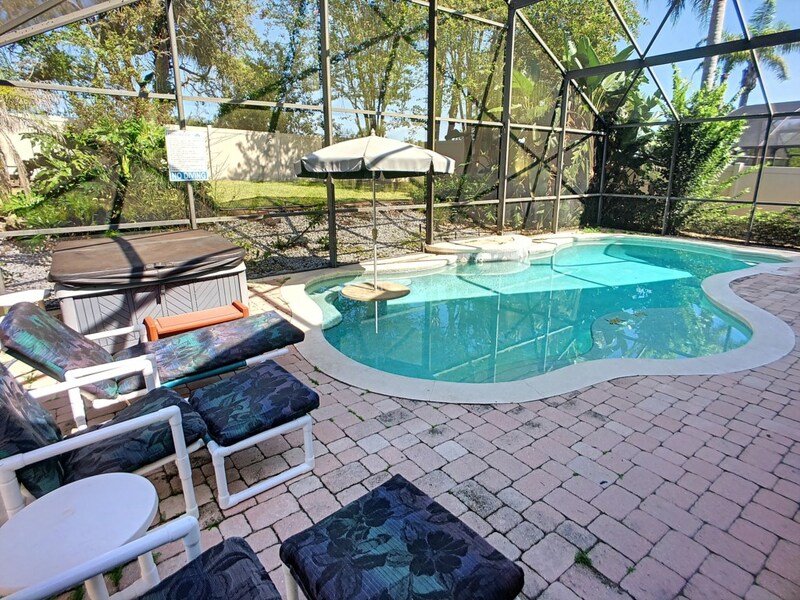 Enjoy absolute privacy in the pool with the fully fenced backyard. 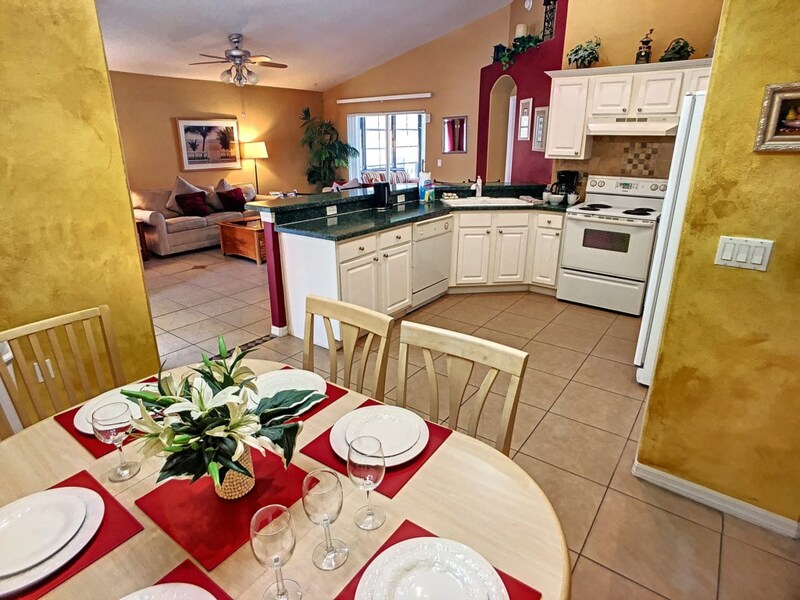 When it's time to eat, the chef of the family can enjoy the fully equipped kitchen. You'll find everything to make a perfect meal, whether it's just sandwiches or if you're cooking up a full meal for 8. Sit down at the dining room table when it's ready to eat! 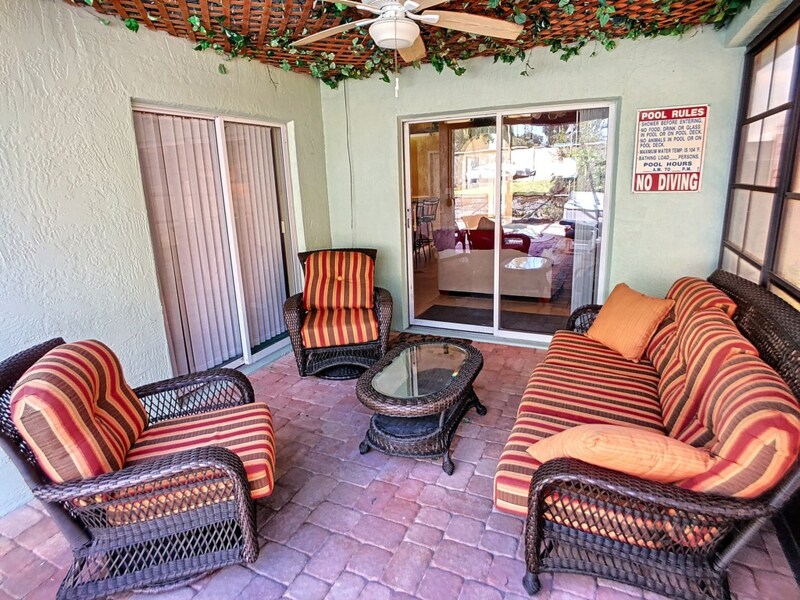 Or keep it casual and eat at the breakfast bar or on the lanai. Tired? Don't worry. You won't have to worry about the kids staying up late in excitement when they're in their own bedroom down the hall. 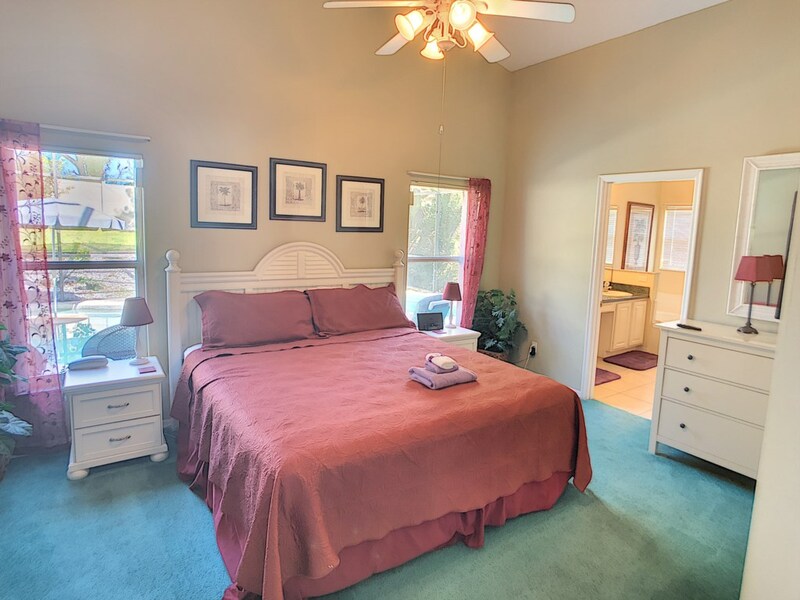 Your master bedroom suite includes a private door to the pool, plus a huge walk in closet, flat screen TV, and a luxuriously comfortable king sized bed. 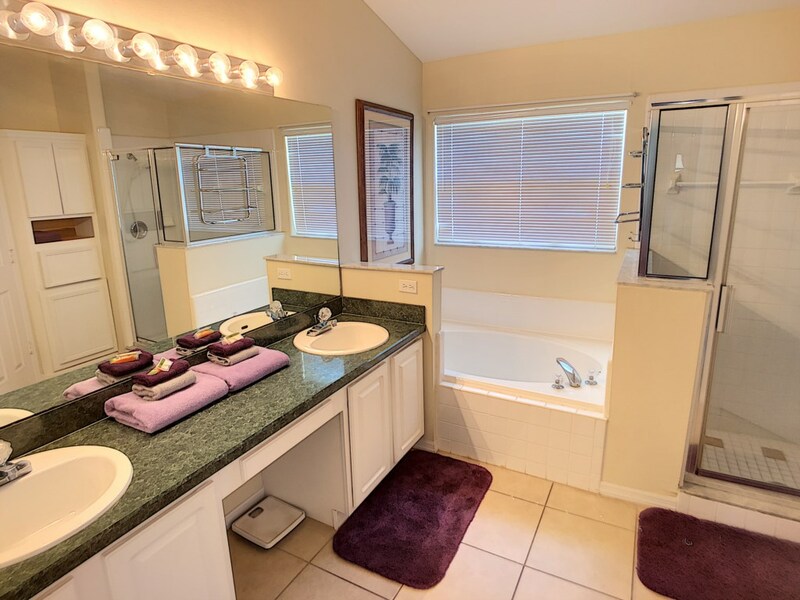 The private en suite bathroom has a separate bath tub & shower, so you can spoil yourself with a relaxing bubble bath after a long day at the parks. 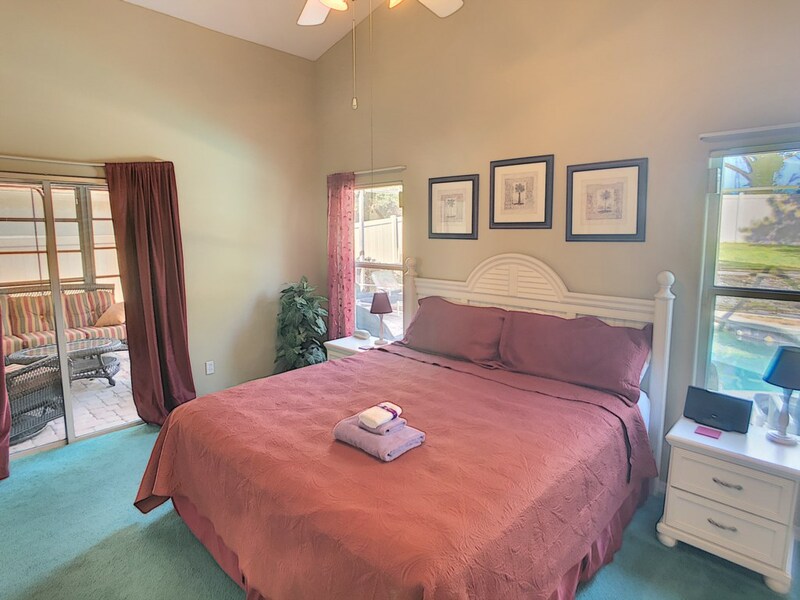 The second bedroom features a TV with a bunk bed and an extra full size bed, perfect for the kiddos. 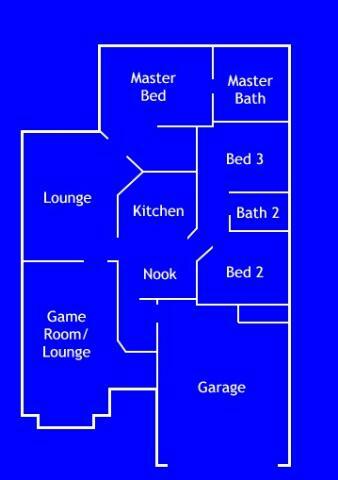 The third bedroom has a comfortable queen sized bed and TV. 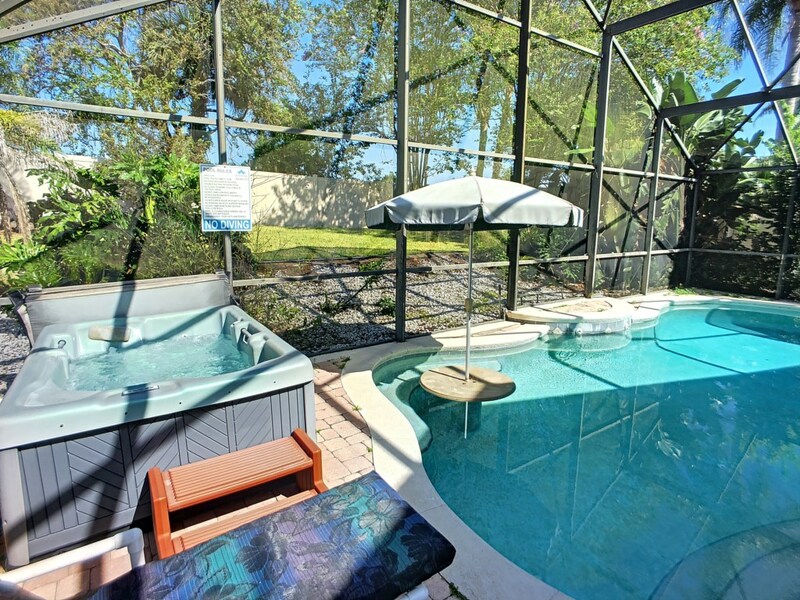 Everyone vacations in Orlando, but now your family will enjoy true paradise in Orlando, Pool Paradise! After all, you deserve it, don't you? It is a very warm and welcoming location. 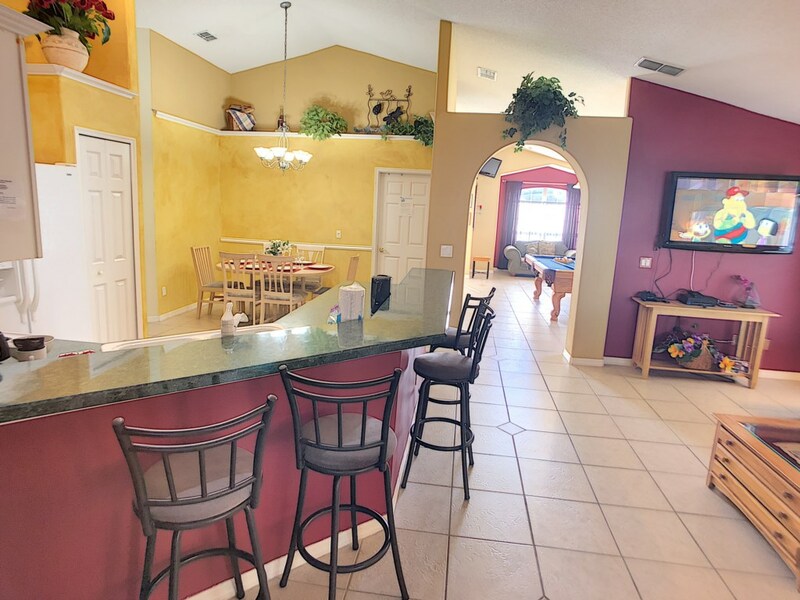 We had fun staying in and were close enough to activities in the Kissimmee and Orlando area to get the most out of the trip. 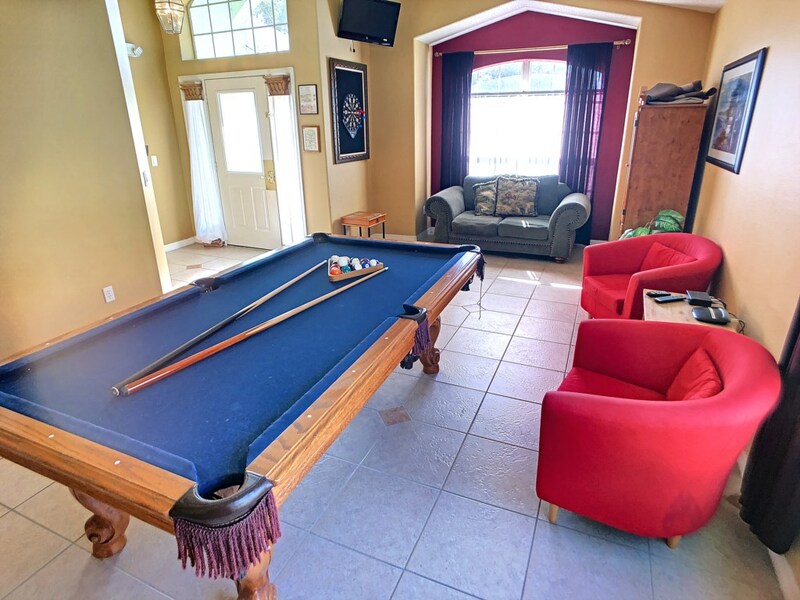 We almost didn’t want to go out, as the pool, billiards table, and spa kept us entertained! 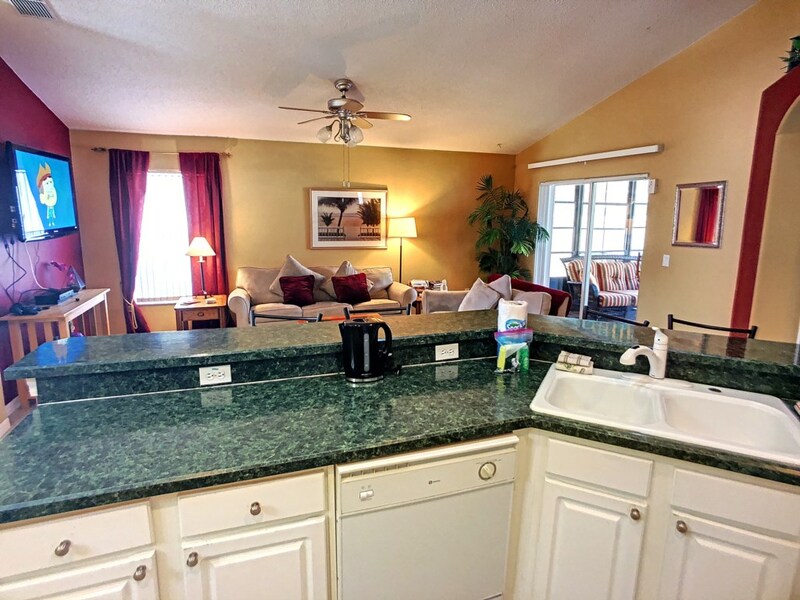 Location close to Disney, golf, restaurants and shopping. House fully equipped and comfortable furniture. Quick response from owners to any issues. Great place to stay. No problems. Clean and had everything we needed. This house was exactly as described. This place it fabulous. The pool was fantastic and a great place to unwind. 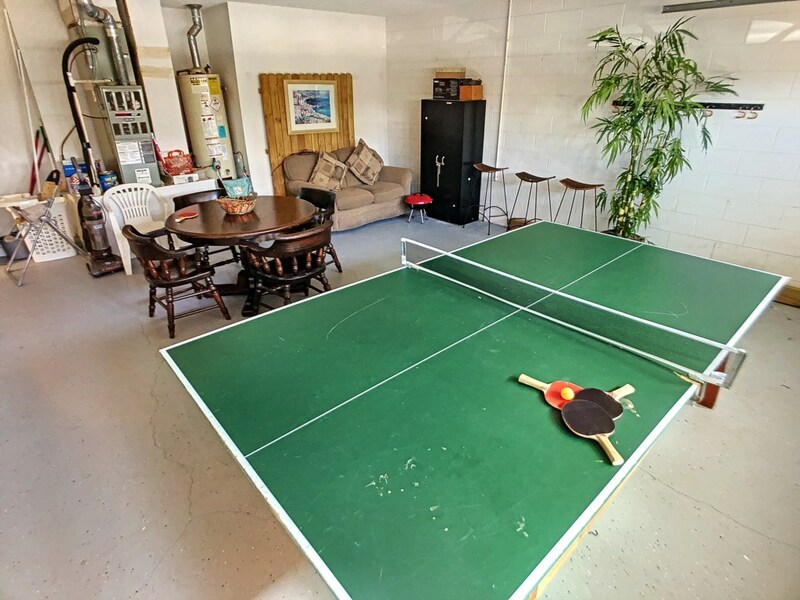 The family had fun with the pool table and ping pong table. 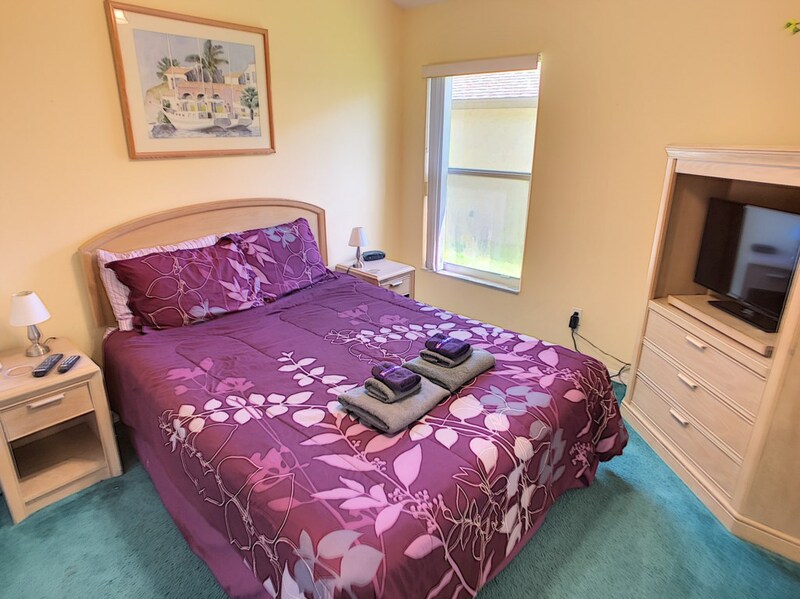 Great location, close to ask attractions. The house has everything you need to stay there, no need to bring it with you. We had such a great time, we will definitely be returning!!!! 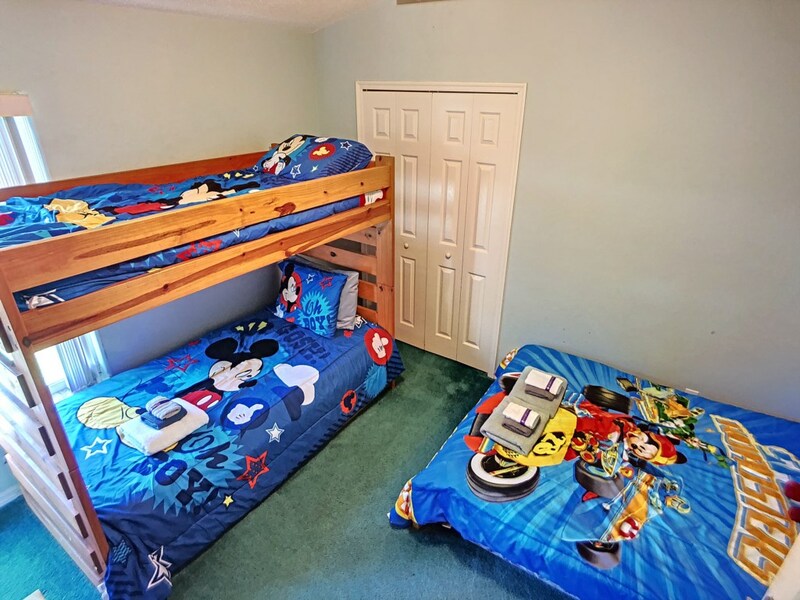 Very nice home in a quiet neighborhood with quick and easy access to Disney Parks. 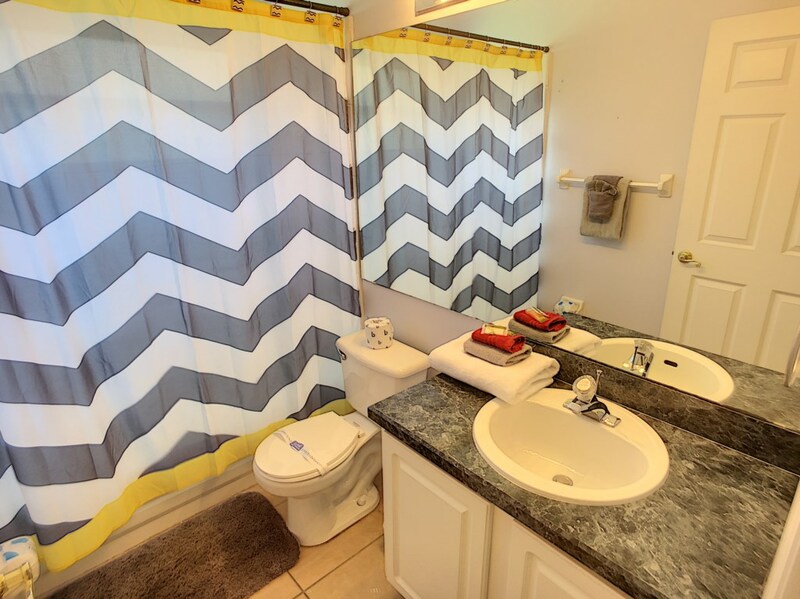 The home exceeded our expectations and provided all of the amenities that we were looking for. Nice private fenced backyard that was perfect for our four legged babies. I will stay here when we visit next year. We just got back from Pool Paradise and are ready to go again!!! Staff was wonderful!!! House was awesome!!!! Looking forward to again in Sept.!!!!!! 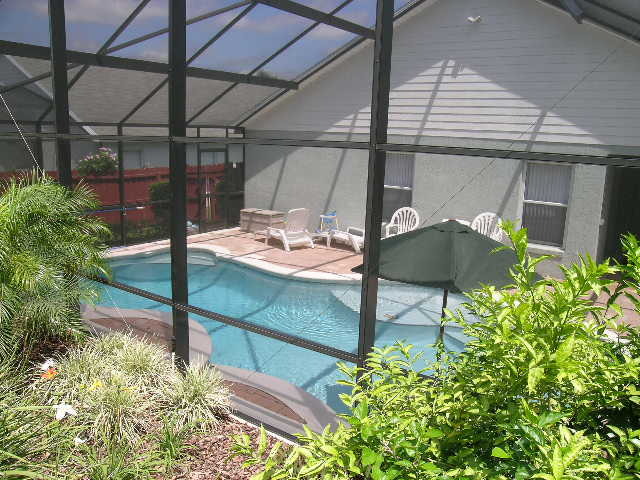 Pool Paradise has all the conviences of home and much much more. Pool Paridise exceeded our expectations. It was beautiful, clean, close to the theme parks. The grandkids were in the pool at least 5 hours a day. We will be back!